Aloe vera is a very common household herb and is one of the most useful plants in this world. In this article, we will discuss the importance of Aloe vera and how to grow aloe vera plant in your own garden. Aloe vera gel has a protective effect against radiation damage to the skin. When aloe vera gel is applied to a cold sore a few times a day, it eases the discomfort and helps speed the healing process. Aloe vera helps in digestion. Aloe Boosts the Immune System. Provides Antioxidants and Reduces Inflammation. Though you can grow Aloe Vera from seeds we strongly recommend you start with the offshoots. Planting aloe vera this way is easier and the survival rate is also greater. You can grow Aloe vera outdoors as well as indoors. They are an incredibly tolerant houseplant. Though they love full sunlight an aloe vera plant can survive low light and infrequent watering schedules. It might look a bit reddish or may show flattened leaves but the chances are they will survive the situation. If it is freezing an aloe might lose the leaves or get burnt but its roots will survive provided the soil isn’t frozen. Like cacti, Aloe Vera also survives pretty well in dry weather. Put your finger one inch deep into the soil and check if it’s completely dry before watering Aloe Vera. When you water the plant water it thoroughly. Make sure that all the excess water should run out if it is in a container. Related read: How to Grow Cacti: A General Guide. You need not water Aloe Vera every day. You also need not keep the soil moist continuously. Too much water or waterlogged soil is the most frequent reasons for the death of the plant. Always wait for your soil to dry before adding any water. Use a sprayer to spray water on the dry leaves once in a week to remove dust. It will also make the plant leaves green and healthy. Proper lighting is very important for growing aloe vera. They grow best when there is a lot of light around them. Keep your Aloe Vera plant in a place where it will receive enough bright sunlight. Surrounding the soil with white stones around the plant can be a great idea. It would increase the aesthetics as well as save the warmth of sunlight. Aloe Vera grows best in outdoors. If you are growing aloe vera indoor an ideal spot will be a south-facing window. But if you don’t have enough sunlight in your house, you can grow them under artificial lights. Place Aloe Vera in bright, indirect sunlight or artificial light. Aloe Vera does best in temperatures between 55 and 80°F (13–27°C). There are two ways you can make the best potting soil for aloe vera. You can either make your own soil mix by adding perlite or sand with a regular potting mix or buy commercial succulent soil. The best potting soil should not hold water and also should drain very quickly. The terracotta pots are the best containers for growing aloe vera. Make sure it has drainage holes at the bottom. It might also be a great idea to move your potted aloe veras in direct sunlight from time to time. Related read: Learn more about different containers for gardening. Aloe Veras don’t need much of a fertilizer but if want to add any it is better to use a good quality compost. Add this once a year only in their growing season. If you are not comfortable using compost use any organic fertilizer. Aloe plants can become almost dormant in the winters, and you will hardly see any growth. So, don’t fertilize your plant during this period. It is easy to grow aloe vera from offshoots. You will see lots of them growing near your Aloe Vera plant from time to time. These are actually daughter plants that have grown from the mother plant. Remove them and plant them somewhere else. It will actually benefit your main plant. You can also use leaf cuttings to grow the plant. Take a cutting using a sharp knife. Leave the cutting for a week to dry up the wound. This will protect it from bacterial infections. After a week use the leaf-cutting to grow a new aloe vera plant (after dipping it in rooting hormone). Aloe Vera plants are generally pest and disease resistant. So in most of the cases, you would not have to worry about pest control. But rare cases do happen. You may find some bugs invading your plants. Just remember, use organic methods to fight the problem. You can use neem oil, alcohol, or insecticidal soaps for this purpose. Aloe vera can also be a little sensitive to some sprays. first, test it on a small part of a leaf before using it on the plant. The main reason you can come up with a mushy stem in aloe vera is that if you have over-watered the plant. If its just in the initial stage you can still save the plant by cutting the stem just above the rotting portion and then propagating it. This is most probably because it lacks enough sunlight. transfer the plant to a place where it can get more sunlight. First, check if the rest of the body the plant is getting mushy. if not then it is probably due to lack of water. Check the soil of the plant. if that is the case then you know what to do. We harvest aloe vera leaves from the plant. The best leaves are the larger and thicker ones on the outer side of the plant. 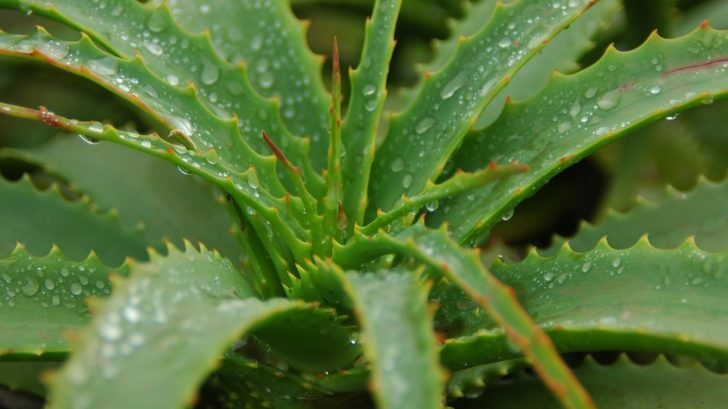 The easiest way to harvest aloe vera is to just snap or cut off a leaf when you need it. If you want to harvest larger amounts of juice, use a sharp knife to cut the leaves from the plant. The Aloe Vera pulp is very useful for skin. You can use a spoon to scrape the pulp out of the leaves. Use it fresh, or store it in the fridge for a week. Hope you find these tips useful. If you have any queries or suggestions about growing aloe vera, please post them in the comment box below.